Most vintage, some of the last vines planted in the Rangen are declassified into either our classic Riesling or under the Thann label if the vintage is interesting, like 2010. We felt that the ‘older’ vines were slightly riper but more importantly, we feel that the root system is less deep and profound in these younger vines. The Rangen vineyard is a steep volcanic hill. The growing conditions can be tough for the vines and age matters a lot. 2010 wasn’t a drought year but some periods, especially late in season were quite dry and warm, so not all the vines behaved the same way. 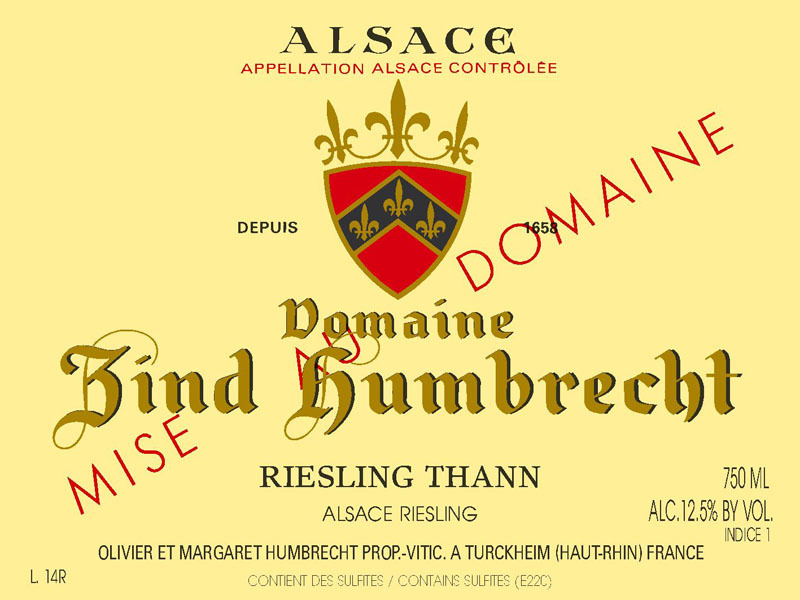 This wine fermented quickly and finished dry way before any other Riesling in the cellar. 3/2012: the nose shows the volcanic origin! There is plenty of flint and smoke, associated with typical stony aromas. The palate is dry but has a nice round middle touch, enhanced with some more fruity flavours. The finish is medium long and delicate. The acidity feels softer than what the numbers suggest and this is probably because of the volcanic origin that usually increases the pH. Like most Riesling, it will need some time.